18K Rose Gold IWC Portuguese IW545409 watch, water resistance to 30m, with leather strap. Water Resistant: 30 M / 100 FT Shipping: Free Shipping with Insurance Continental US! 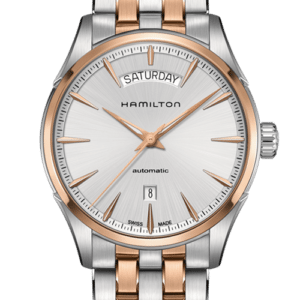 Stainless steel & rose gold PVD Hamilton Jazzmaster Day Date H42525251 watch, water resistant to 50m, with silver dial and two tone bracelet. 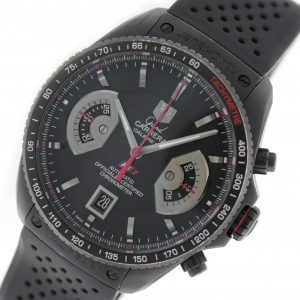 TAG Heuer Grand Carrera CAV518B. 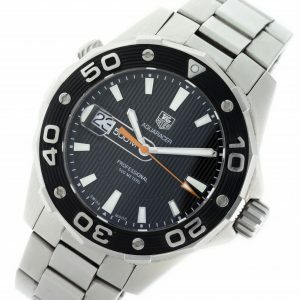 PVD Titanium Tag Heuer CAV518B.FT6016 watch, water resistance to 100m, with date, chronograph, tachymeter, and rubber strap.